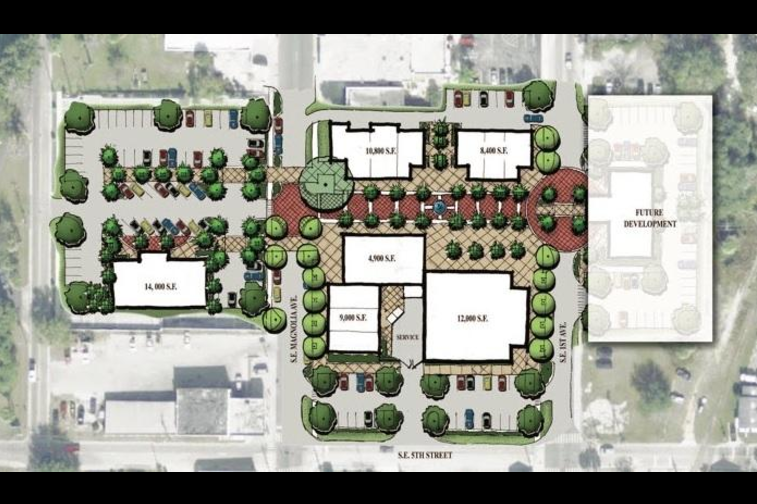 Redevelopment of Ocala’s downtown continues as The Boyd Group has announced plans to build a multimillion-dollar, multi-use, commercial and residential project south of the square. The property is owned by locally based Brick City Holdings, LLC. The three-acre project, called Lincoln Square, will include apartments, retail properties and restaurants to accommodate a growing interest in the downtown area. One of the officers of Brick City Holdings is Lacy Jernigan, according to state records. She is the granddaughter of the late Bill Stalnaker, who owned the Lincoln-Mercury dealership site off Southeast Fifth Street and the land that now makes up the Brick City Holdings project. The Boyd Group, which includes development, sales and property management divisions, will design and build the project, which is between Southeast Fifth Street, Southeast Magnolia Avenue and Southeast First Avenue. The project is expected to begin the first half of 2018. “It’s going to be a great development, and it’s going to spur more development,” said Ocala Mayor Kent Guinn, who has spearheaded much of the downtown redevelopment. “The properties around (the planned development) will become more valuable and there will be a lot of opportunities there,” he said of the Boyd project. The design of the buildings is still in the works, but for now the project is made up of four structures, each more than one story high, said Angie Lester, a sales and marketing agent for The Boyd Group. The first floors will be retail and restaurants, while the upper floors will be apartments for lease. Working on projects like this one is especially rewarding because the downtown area has gone through many variations and the city has invested so much to revitalize it and it’s rewarding to be part of that revitalization, Lester said. The Boyd Group has been meeting regularly with city officials about the project. Guinn said that while a design has not been finalized, the city is urging the developer to make it consistent with the rest of downtown and the square. Guinn said he feels confident the development will fit well with the rest of the neighborhood.